As seen on IG influencer @laurensophiemessack! Red Coral evokes passion, romance and strength. Wearing this Lipstick Red Coral would balance your energy. 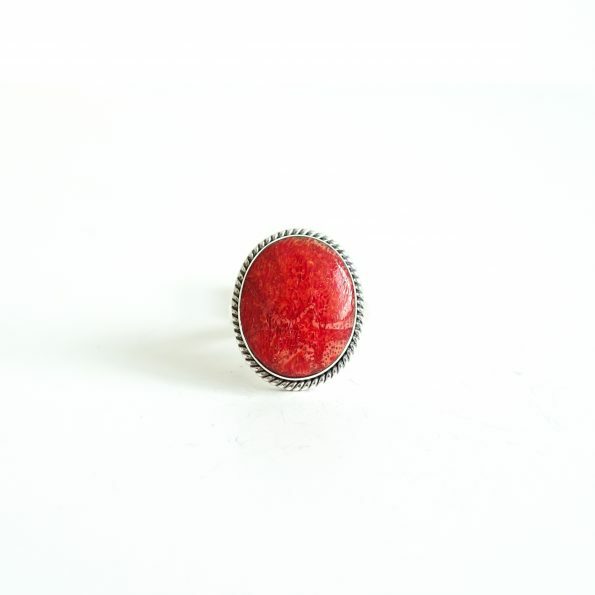 Pair the Red Coral Square ring with a turquoise gemstone ring or wear it as a statement ring. Red Coral gemstone is used when you want to start something new. It is a gemstone that symbolizes joy, prosperity, protection and abundance. Wearing Red Coral aids in the ability to understand the purpose of things, while encouraging creativity. This gemstone is a good assistant in meditation and visualization, bringing zen, clarity and emotional balance. Red Coral is a stone of optimism. Where you born to beach? Than this is your ring! This outspoken oval ring is fun to wear with your favorites or just as a statement piece. 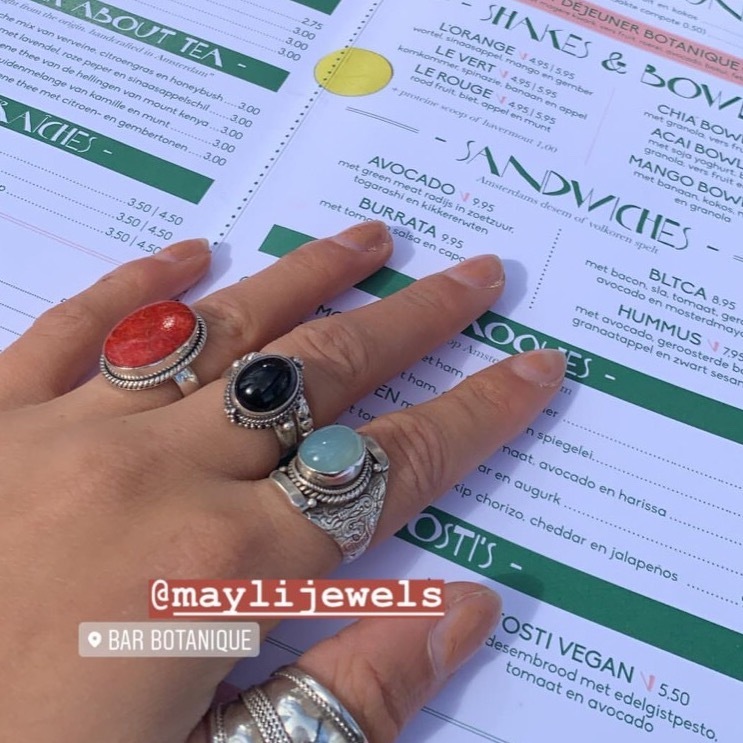 You want to order this ring but you don’t know the size? Use a measurement tape to measure the inner diameter of any ring you have. If you do not own a ring you can calculate the diameter your self by measuring the perimeter using a stroke of paper or a rope around your finger. Measure the length of the stroke/rope and device it by PI, thus 3,14. This number should tell you the diameter. If you question about our shipments and return policy please read further on our FAQ page.